Pandit Suresh Chand Dubey, Delhi has been performing wedding ceremonies sine 1991. 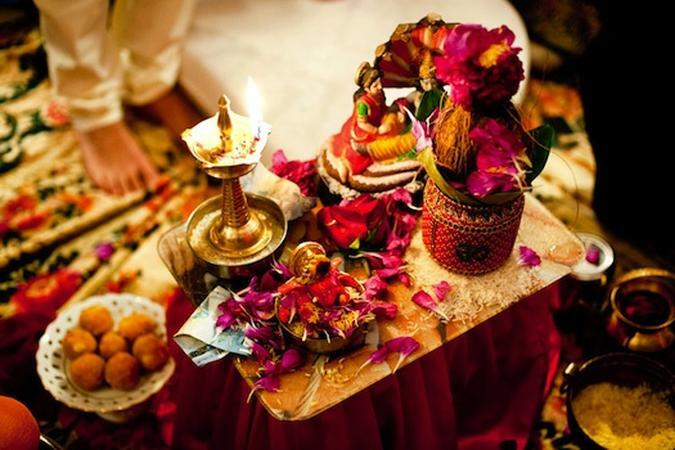 The pandit can assist you in all aspects of the wedding rituals, from kundali matching to the pheras. Apart from conducting wedding ceremonies, Pandit Suresh Chand Dubey also offers his services for vaastu shastra, palm reading and face reading. Shri Hanuman Manokamna Puran Mandir is a pandit wedding based out of Delhi . Shri Hanuman Manokamna Puran Mandir's telephone number is 76-66-77-88-99, address is New Delhi. In terms of pricing Shri Hanuman Manokamna Puran Mandir offers various packages starting at Rs 11000/-. There are 0 albums here at Weddingz -- suggest you have a look. Call weddingz.in to book Shri Hanuman Manokamna Puran Mandir at guaranteed prices and with peace of mind.